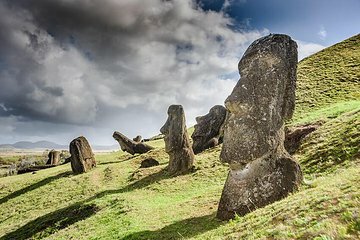 Make the most of a once-in-a-lifetime trip to the iconic archaeological sites at Easter Island on this private tour. Learn about the history of the monolithic carvings from your guide before stopping to visit less-frequented natural attractions, including the Rano Kau crater and Anakena beach. Hotel pickup and drop-off and private transportation ensure a comfortable and convenient experience.